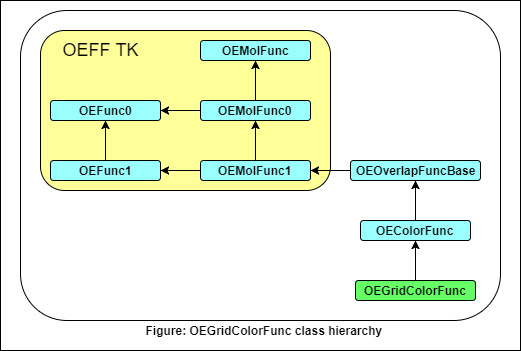 The OEGridColorFunc class defines color overlap between a reference object and a fit molecule, using the Grid method. Constructs an OEGridColorFunc instance using the specified set of parameters. Returns a reference to the OEShapeGridOptions instance as currently set for this OEGridColorFunc.